A woman told police she thought she would black out as her partner seized her by the neck in their Inverness home. 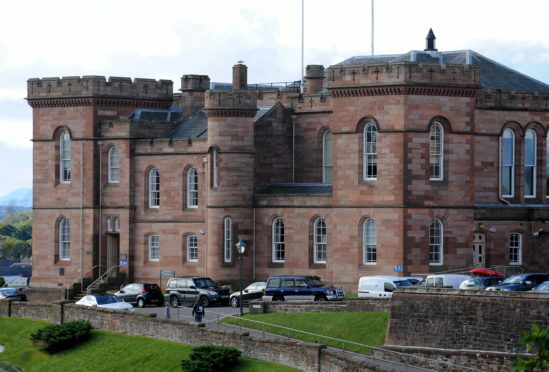 Sentence had been deferred last month on 46-year-old Leighton Griffiths at Inverness Sheriff Court for a background report after he admitted a charge of assault. Yesterday, he appeared before Sheriff Gary Aitken who was told that the couple had been in a relationship for more than 10 years. Fiscal depute Rowena Carlton said they began to argue and Griffiths, of Island Bank Road, Inverness, seized her by the neck on January 6 in the Rosehaugh Road property. Griffiths was ordered to carry out 210 hours of unpaid work and to remain under social work supervision for 18 months.